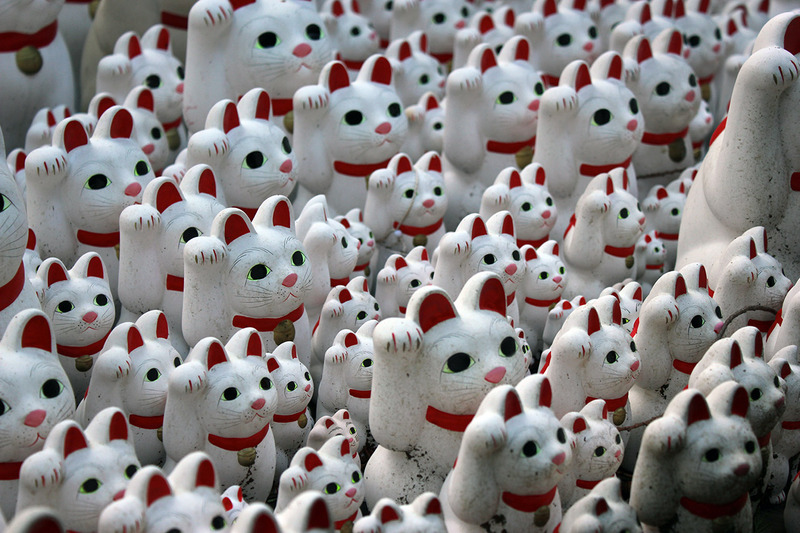 These are the 1990 Endy Awards, wherein I pretend to give out maneki-neko statues to the best in that year in film. Awards for many other years can be found in the Rankings & Awards Index. Eligibility is determined by imdb date and by whether or not I’ve seen the movie in question. Nominees are listed in alphabetical order and the winners are bolded. And the Endy goes to. . .
Over the years I’ve gone back and forth between Miller’s Crossing and Days of Being Wild as my favorite film of 1990. Jeremy Irons just barely misses out, but he can console himself with his Reversal of Fortune Oscar. Hard to think of a greater movie star performance over the past 25 years than Roberts in Pretty Woman. Meg Ryan was a strong contender here for Joe Versus the Volcano. Tough to leave out Jacky Cheung for both Days of Being Wild and Bullet in the Head here, along with Waise Lee in the latter. There’s a whole host of actors in Miller’s Crossing and Goodfellas that probably should have been nominated. Ron Silver in Reversal of Fortune and Ian Holm in Hamlet as well. Polito has to win though, it’s a question of ethics. Two more nominations this year for Maggie Cheung, the most-decorated actress in Endy history, despite only a single win in eight nominations. She’s the Endy’s Meryl Streep. This is Whit Stillman’s first Endy, having lost to Hong Sangsoo in 2011 and the Coen brothers in 1998. I don’t know if the Academy considers Miller’s Crossing to be adapted or not, but if you know the novels of Dashiell Hammett, you know it’s definitely not original. Also: The Match-Factory Girl, Miami Blues, Ju Dou, Revenge, The Witches, The Sheltering Sky, and Jacob’s Ladder. I’ll get to the Four Seasons series eventually. I’m attempting to spread his films throughout my life so I don’t run out of Rohmers. Michael Ballhaus’s work on Goodfellas is excellent of course, though you can trace a direct line from the Copa tracking shot to the pointless showiness of Alejandro González Iñárritu. Christopher Doyle has already won this award four times (shared for Chungking Express, In the Mood for Love and 2046 and solo for Fallen Angels), but he’s upset here by Barry Sonnenfeld’s lustrous work in the Coen Brothers’ most sumptuous film. There’s nothing more foolish than a man chasing his hat. Goodfellas is Scorsese’s best ever jukebox score, while Miller’s Crossing is Carter Burwell’s best work.